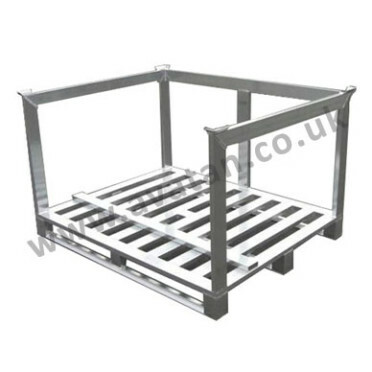 Stackable aluminium pallets designed and manufactured to order. These light but strong aluminium stillages are ideal for food and pharmaceutical product storage. 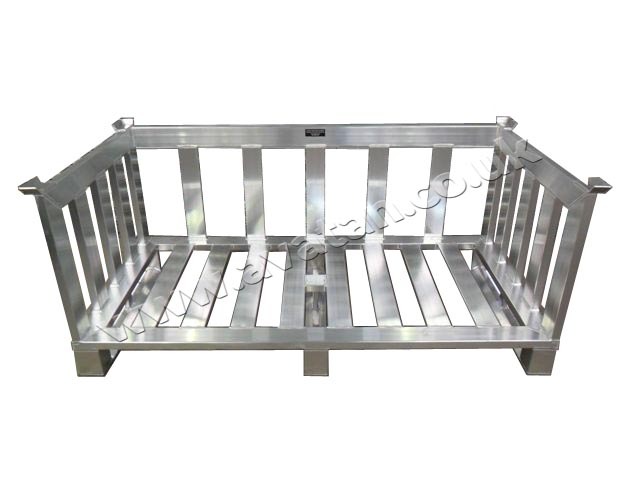 Corrosion free these pallets are ideal for cold storage use. Pictured here, this pallet has an open front but can be designed to fully retain product and can be supplied with a removable fourth side.